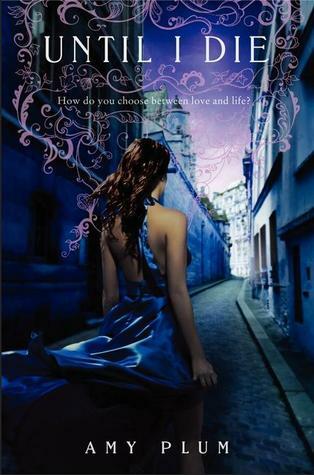 Summary (taken from GoodReads.com): Kate and Vincent have overcome the odds and at last they are together in Paris, the city of lights and love. I enjoyed this book much more than the first installment of this trilogy. From the middle until the end I was hooked and couldn't put the book down. Vincent and Kate are an absolute treasure and I'm so grateful that they were not another couple that is suffering from a love triangle. Although I was not in their corner in the first book, I am happy to say that the tables have turned and I am now officially their supporter. It's still not the most amazing trilogy I have encountered but definitely not a bad read. 1) The huge cliff hanger at the end of the book. If I didn't have the third book in my possession I would be freaking out. 2) Despite my feelings about Vincent and Kate in the first book, I really liked their relationship in this one. In my opinion, their relationship escalated really quickly, so it was hard for me to take them seriously, but once I let that go, I was able to fangirl properly over their cute moments. 3) I like that Kate is not a damsel in distress. I'm tired of the main girl in books and movies that rely on their guy to save them. Like, hello? You are in the middle of a war of immortal beings and you're not learning now to defend yourself? Therefore, I was pleased that Kate has taken measures to protect her self and fight with her zombie family. Often in books, the main heroine is praised a lot by those who love her. It's also typical that she would not feel that this praise is deserved, in which most cases I agree with her. This book is one of the few exceptions where I feel that Kate deserves the praise she gets from those around her. Clearly, she's intelligent with everything she knows about art and literature, she can speak two languages, and is able to translate a few others. I think this is pretty impressive. Also, she has no problem speaking her mind and seems pretty level headed considering the situation she has gotten herself into. 4) The plot twist in this book was pretty brilliant. Although, I thought it was obvious, I felt that it was well worked into the entire plot of the story and made the cliff hanger all the more excruciating. 5) The plot was well executed. Nothing felt rushed, overdramatic, or out of place. The book had a good rhythm and I felt it was the perfect length for everything the author was trying to accomplish. 6) The different types of relationships in the novel, there is family, mutual love, unrequited love, heterosexual and homosexual relationships. I felt that this really added to dimension of the characters, because it's unrealistic to only focus on the love of a family and just heterosexual relationships. 1) There are a lot of characters in this book, and all of you know how I feel about that by now. I generally like all of them but it's a lot to keep up with and more characters means less detail about each one. 2) It was a really slow start to the book, especially not being a huge fan of the first book, I was already pushing myself to read it. The slow start just kept giving me more of a reason to put the book down and walk away. 3) The characters in this book continue to remind me of the Twilight characters. Violette is very similar to Jane of the Volturi. I should have mentioned this in my of Die for Me but Charles and Jasper are very much alike as well. 1) "Desire is a funny thing. When I'm with you--in body--I'm constantly on the defensive. Against myself. We haven't known each other long, and I need you to be sure of what you want before we... go further. 'I know what I want,' I said. Vincent ignored that and continued. But here, when touching you isn't even an option... well, I want you so badly it hurts" (174). 2) "'So I ride up on my old wartime bike to your camp,' I continued, ignoring his protest. 'Keep in mind, you haven't seen another human in weeks. What do you do, soldier boy?' I said doing my best Greta Garbo impersonation. Vincent leapt on me, pushing me backward onto the couch and kissing me enthusiastically all over as I dissolved into a fit of hysterics" (189). 'My favorite,' he responded with a teasing smile. 'Wanna try?' I proposed, and leaned forward for a kiss. 'Mmm,' he said, nodding thoughtfully. 'Good. Good. But just for the record, I think I prefer Kate au naturel.'" (269). 4) "The smile that lit his face whenever he first caught a glimpse of me. His hand clutching mine as we walked the city streets. The look in his eyes before we kissed. Those experiences were now trapped in the past. And the future that I had imagined with him now drifted into oblivion like those mangled flowers. I had lost him" (353).